Company Golf Days are a perfect way to bring both your clients and colleagues together to show that you value and appreciate them, and to develop important business relationships. Want to run a company golf day, but struggling to find the time to organise an event? Let the team at South Coast Business Golf become your solution.  Working with you to understand and fulfil the golf day your company and brand requires and deserves. David and his professional team take the hassle out of the day. You are still the host of “your golf day” but with the benefit of spending time entertaining clients, promoting your business or just take the chance to develop your existing relationship with colleagues. Full organisation and management of your golf day. Let us help find you a venue that suits your specific requirements. Electronic start sheet and clubhouse leader board on a big screen. Details above are really just the basics there is so much more SCBG can offer, organise and manage on “your” golf day. Let’s get the golf ball rolling, contact David to discuss turning your golf day concept into a reality 07881 810847 or by emailing David.